Adds craftable and enchantable trinkets that protect you against the sun's effects. 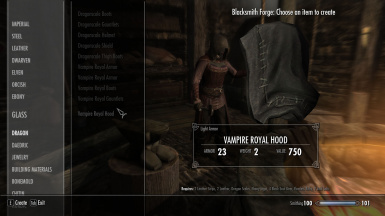 Fixed the Vampire royal hood script that wasn't working when loading a save game. Adds 4 craftable Amulets and matching rings that can be enchanted. 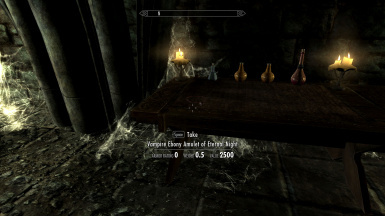 they protect you against sun's negative effects. You can learn how to forge them by reading "Vampire Amulets & Rings" in Valerica study (see screenshots). 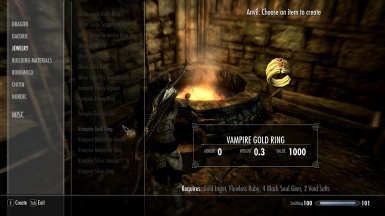 You will need 4 Black soulgems, 2 Void Salts, 1 Flawless Ruby and a corresponding ingot to forge them. 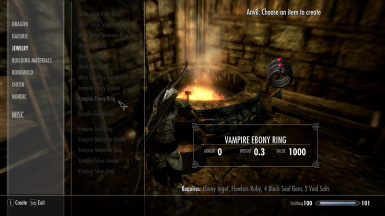 I used the meshes of unused Dawnguard DLC trinkets. 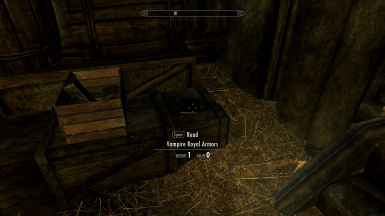 The Vampire Royal Hood is now reacting like Serena's hood (if you're in an interior or if is it night time it will self hide). 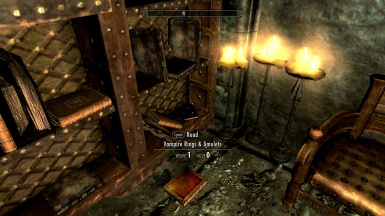 You can disable the auto hiding by typing in console : "Set VampireHoodAutoMod to 0" you can re-enable it by typing : "Set VampireHoodAutoMod to 1". 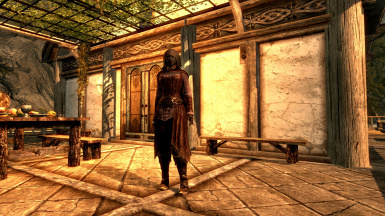 Note that the hood will stay invisible if you disable the auto hiding mod while it is hidden. 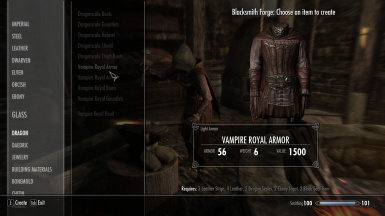 Added Vampire Royal Armor Set (same graphics as Serana's Armor) the armor is crafted under Dragon. 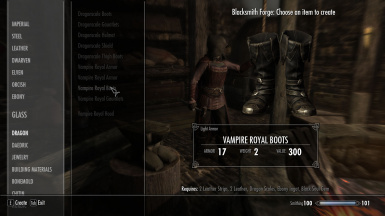 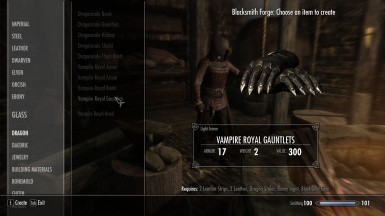 You will need to read the book Vampire Royal Armor which is located near the forge in Castle Volkihar (see screenshots) and have the Dragon Armor Perk. 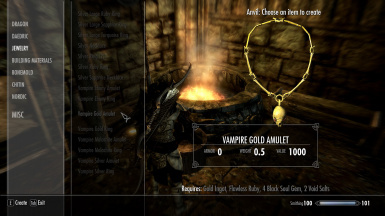 The hood grants the same protection that trinkets offers. 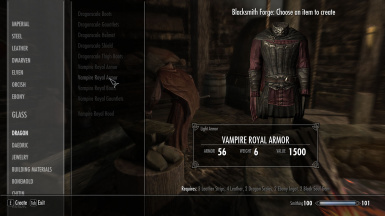 The armor have the same armor rating than Dragonscale set. 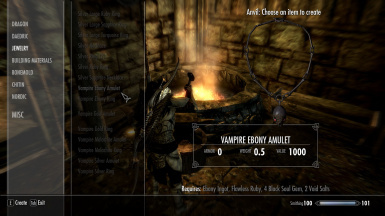 Added Enchantment version of the sun protection, A disenchantable trinket named Vampire Ebony Amulet of Eternal Night can be found in Valerica's Study.